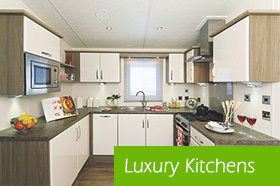 Pixley End is a development of luxury holiday homes for adults over the age of 45. Set in approximately five acres of rolling Herefordshire countryside near Ledbury, if you are looking for a tranquil holiday home location, then Pixley End Country Park is the place for you. 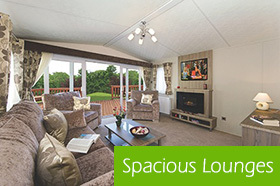 Enjoy the peace of the local surroundings or visit the many attractions on the doorstep. The market town of Ledbury is very close by with its range of shops and interesting architecture and ’black and white’ buildings. The Wye Valley is a short distance by car with its beautiful scenery and enchanting towns and villages. Visit Ross–on–Wye and Monmouth, or travel to Hereford for a larger shopping experience. The Hay–on–Wye festival draws visitors to its doors in May/June. There are castles galore nearby, remnants of the historic battles for the Welsh borders. Visit Goodrich and Raglan castles, or the ’three castles trail’ of Skenfrith, Grosmont and White Castle. Just the other side of Ledbury is Eastnor Castle. There are also many National Trust properties within driving distance including Berrington Hall and Croft Castle. For superb gardens, visit the famous Hidcot, about an hour's drive to the East. The remains of Witley Court are also worth visiting with its amazing fountain. Our holiday park has been fully redevloped, renewing all water and electric systems. We are selling luxury holiday lodges and static caravans, which come fully double glazed and centrally heated ready for Winter. All lodges and caravans are sited on full concrete bases. The main homes available are the Superior, the Hatley and the Tortworth. All three come with different size and layout options, examples of which are shown below. 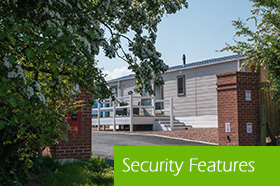 We also have Delta Molina, Oakwood, Wentwood and Newberry holiday homes available for sale. All the holiday home types are available on site for viewing. On purchase, your selected home will be moved to your preferred plot.